BSP president Mayawati claimed today that the BJP might make Hindutva its main plank in the next parliamentary election to cover up its "failures"
BHOPAL: BSP president Mayawati claimed today that the BJP might make Hindutva its main plank in the next parliamentary election to cover up its "failures". The former Uttar Pradesh chief minister also said the next Lok Sabha polls, scheduled for 2019, might be advanced, and alleged that central agencies are being misused to "finish" the opposition parties. "To cover up failures of its central and state governments, the BJP can make Hindutva the (main) plank in the general election and the work on building a Ram Mandir in Ayodhya would begin (ahead of polls)," she said. Mayawati was addressing party workers from Madhya Pradesh and Chhattisgarh at a function here. "This time around, there is a possibility that the Lok Sabha polls may be held early," the BSP chief told her partymen, who felicitated her by giving a silver sword and a gold crown on a silver plate. The Dalit leader said the BJP can play "tricks" in the name of patriotism to win polls and weaken her party. "This party (the BJP) can play tricks in the name of patriotism to win elections and weaken the BSP." Mayawati asked BSP workers to strengthen the party in Madhya Pradesh and Chhattisgarh, the BJP-ruled states where Assembly elections are due in 2018. "Don't sit quietly. Go back home, start work and strengthen the party. The people of Madhya Pradesh and Chhattisgarh have made up their mind to throw out the BJP governments, according to reports coming in," she said. She said the people from disadvantaged sections of the society were reaping the benefit of reservation in jobs and education primarily due to Dalit icon B R Ambedkar's efforts and not because of the Congress or the BJP. "The political parties (averse to the BSP) are unhappy with the facilities you all are getting (due to quota). Now, these political parties, without extending reservation in the private sector, were outsourcing work of big ministries. "(In this way), they are curtailing the reservation facility. Reservation in promotion has almost become minimal," the former chief minister said. 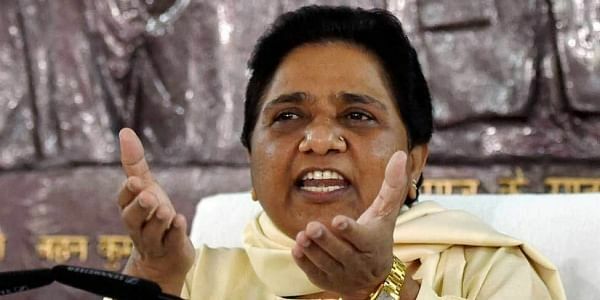 "Central agencies, especially the CBI, the Income Tax department and the ED, are being misused to weaken and finish the opposition and make the country opposition-free," Mayawati claimed. "Besides, in the name of fighting black money and corruption, the leaders of opposition parties are being targeted. On the other hand, they are covering up allegations against their own people," she alleged, adding the "media has been made ineffective". Without naming the BJP, Mayawati alleged, "They have weakened democracy to a large extent. Their dictatorship...is prevailing in the entire country. They have gone far beyond the Congress party's 1975 Emergency."